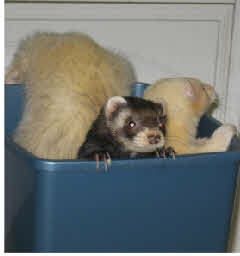 Zach was part of the litter raised in 2005 by my friend Fred . Due to Toby’s illness and the fact he needed keeping indoors, I realised the vacant cage required a new tenant. Zach was in want of a home, because a prospective owner had not kept his word. 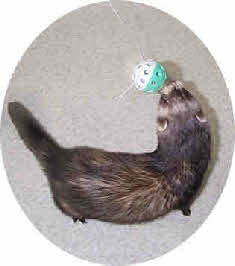 Fred was keen that I should take this ferret, knowing it would get a good home . 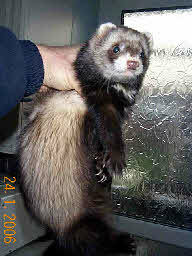 Zach was the first hob to be castrated, which has enabled me to keep a second ferret, Bill a castrated hob in the same cage. they like the other’s company. Since the arrival of Bill’s brothers, also castrated, living in an adjacent cage, he had more chums to play with during the cage cleaning and exercise time. To see his mum and siblings.